Titan Petrochemicals has entered into a sale and purchase agreement with Sino Team Investment Development for the acquisition of Gold Dragon Enterprise Development for HK$21m ($2.7m) in a cash plus shares deal. Following the completion of the acquisition, Gold Dragon, which indirectly controls full equity of Jiangsu Hongqiang Heavy Industry, will become a subsidiary of Titan Petrochemicals. Nantong-based Jiangsu Hongqiang Heavy Industry is a shipyard mainly engaged in the business of shipbuilding and manufacturing of steel structures. Titan Petrochemicals believes the acquisition will enable the company to resume its shipbuilding business immediately and help the company build up its capability and track record, while the deal will also bring in an experienced shipbuilding management and operation team. Following the completion of a long restructuring process, Titan has been expanding its ship repair business in the past months. 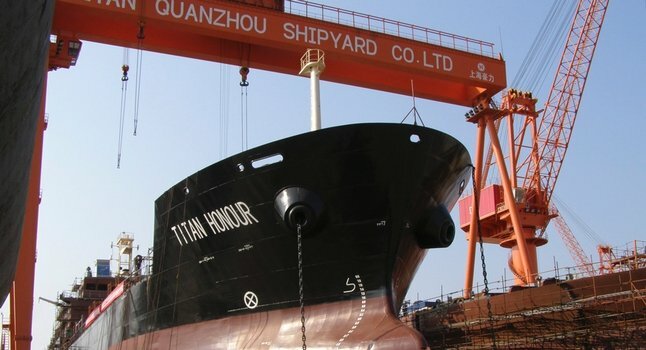 The company acquired Zhoushan Yatai Shipbuilding Engineering in January and also entered into a MOU with Singapore’s EMS Energy in March to fund the construction a shipyard in Singapore. At the end of September, the High Court of Hong Kong moved to wind up Titan’s controlling shareholder Guangdong Zhenrong Energy and Titan is now in the process of seeking legal advice and assessing the impact this may have on the company.